Swoop, which is WestJet's new ultra low cost airline, has just announced new flights from Edmonton to Las Vegas and Mesa / Phoenix, Arizona, and prices are being introduced at $221 roundtrip. Keep in mind that $221 roundtrip is the base price, and includes *only* a personal item. Low cost carriers charge extra for *everything*. $281 CAD roundtrip is the more realistic price to compare against other options. Currently, weekend flights to Las Vegas are available for this price. 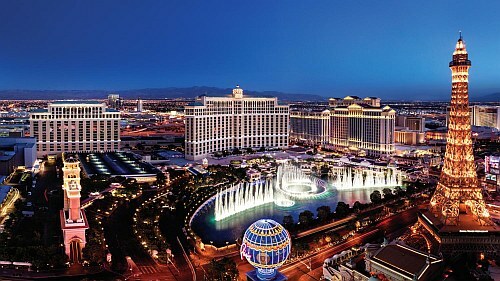 Las Vegas: look for the dates that are $103 on the way there, and $118 on the way home. Mesa / Phoenix: look for the dates that are $118 on the way there, and $102 on the way home. edmonton, yeg, flight deals, phoenix, arizona, nevada, las vegas, north america, aza, swoop, las and mesa. 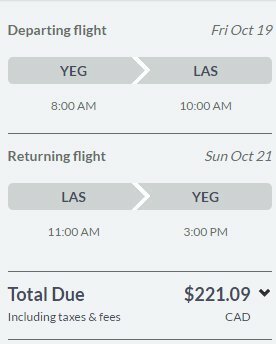 One Response to "Edmonton to Las Vegas - $221 to $281 CAD roundtrip | non-stop flights, including weekends"
Booked and ready to go Thanks for the heads up.